Riverside, Iowa – The 2019 Iowa PGA Junior and Pee Wee Golf season kicksoff Saturday, April 13 with the Spring Series #1 at Terrace Hills Golf Course. 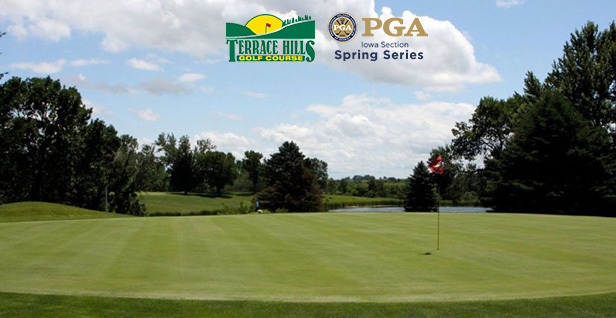 2019 marks the second time the Spring Series #1 will be played at Terrace Hills Golf Course in as many years. For juniors, the Spring Series #1 serves as an ACE Point event. This event, and all other Spring Series events, are open to non-members. The 2019 Iowa PGA Junior Spring Series #1 will feature five 2018 Iowa PGA Junior Players of the Year, as well as six Champions from last year’s event. Paige Hoffman, Rylee Heryford, Evan Smith, Saleah Vivanh-Vong and Vaughn Roseman all won Player of the Year honors for their respective age divisions in 2018. In addition to claiming Player of the Honors, Hoffman, Smith, Vivanh-Vong and Roseman all took home first place in their age divisions at the 2018 Iowa PGA Junior Spring Series #1. This weekend will also feature Lauren Briggs and Greenlee Smock who tied for first along with Vivanh-Vong at last year’s event in the Girls 13 & under Division. Smock will be participating in the Girls 14-15 age division in 2019. Some other previous winner at this event include Isaiah Zeske and Miachael Solberg who tied for first place in the Boys 11 & Under Division along with Roseman. All three boys will be participating in the Boys 11 & Under Division again this year. For more information on pairings and tee times for the Iowa PGA Junior/Pee Wee Spring Series #1 please visit the tournament information pages. The Iowa PGA will provide updates of these tournaments on iowapgajuniorgolf.com and on its social media pages.